I knew the sky was going to light up when the. high clouds became visible well before sunrise. I also knew the bluebonnets were full and healthy after scouting locations the previous day. The winds were calm and the landscape of Big Bend National Park came alive with color about 15 minutes before sunrise. 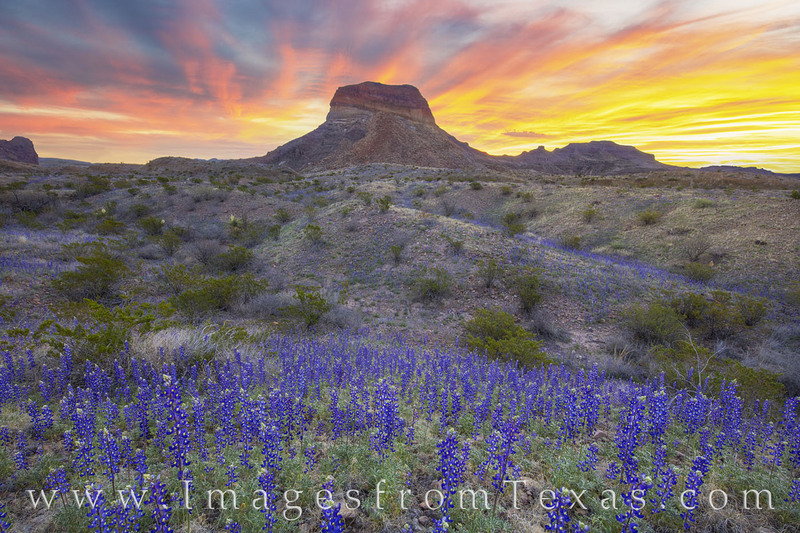 Bluebonnets - the best bloom in memory - filled the slopes and washes with color and the beauty of this remote area came alive on a very cold February morning. in the distance, the iconic Cerro Castellan rises over 3000’ into the orange sky. Photo © copyright by Rob Greebon.